Spotify’s acquisitions came as a surprise to the industry as Spotify has never bought a company focused on creating content such as Gimlet Media nor has it previously expressed interest in the podcast space. Podcasting has however been attracting increasing investment from advertisers, raking in over $314 million in 2017 in the U.S. alone. Spotify’s purchase of Gimlet Media at $230 million, the content creators behind the Startup and ReplyAll podcasts, is the largest acquisition in podcast history. Spotify’s second purchase of Anchor, the production and distribution platform for podcast creators, was for an undisclosed sum. Spotify’s announcement signals the company’s keen interest in the podcast market. Spotify has also shared that the company intends to invest up to $500 million this year alone in the podcasting space. Spotify has dominated the audio streaming industry, reporting 96 million subscribers and posting its first profit this past quarter of $107 million (€94 million), less than one year after the Stockholm-based company launched its IPO on the NYSE on April 3, 2018. Spotify has been the industry giant for a long time in terms of subscriber loyalty, although Apple Music has been playing catch up. Apple announced that it had reached 56 million subscribers this past November. Apple has been closing the gap, though Spotify still dominates the market comfortably with a 40 million lead. Nonetheless, the Cupertino giant has three advantages - offering bundling options, thus achieving a conversion rate of 0.64% (as compared to Spotify’s stable 0.24%), paying artists a higher percentage than Spotify and not needing streaming to be profitable. The two companies have also vastly different approaches to playlists - Spotify’s playlists are driven by algorithms, while Apple’s have what CEO Tim Cook calls “the human touch.” Nonetheless, consumers, by a large majority, have preferred Spotify’s playlists. Cook insists that playlists generated by computers are lacking. In an interview with Fast Company, Cook explained that a streaming music platform has the potential to offer a sublime music experience. In an interview last year with Fast Company, Spotify’s CEO Daniel Ek said that he was confident that the company’s computer-generated playlists, which he calls the company’s “key differentiator” will “defy all the skeptics” in the long run. Arguably, Spotify has already won with this strategy, given the popularity of the platform’s playlists. Even its most vocal critics such as Taylor Swift and Jay-Z have returned to Spotify and uploaded their music once again to its platform. The word “podcast” is literally derived from the iPod. Apple redesigned the Podcasts app and offered more in-depth analytics in 2017. Spotify did not actually consider podcasts a good investment initially given the “poor user experience” as Chief R&D Officer Gustav Söderström said in an interview with TechCrunch. However, podcasting’s striking similarity to radio makes it compelling for the company. Spotify CEO Daniel Ek recognized this. 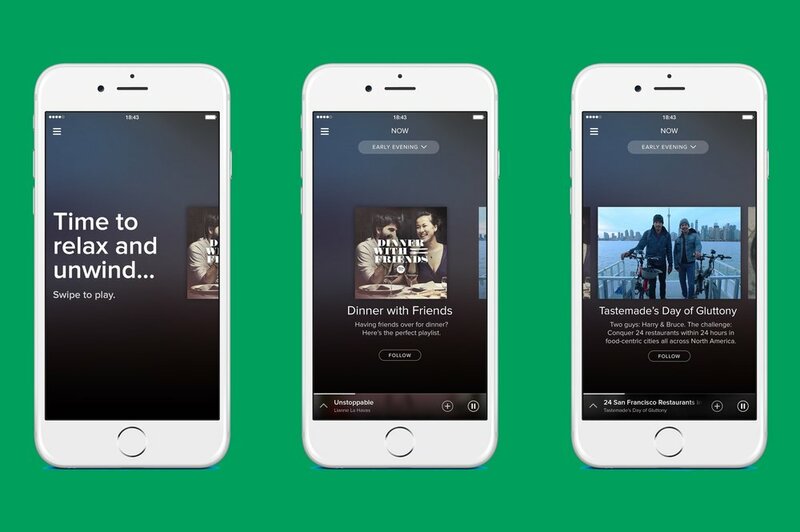 Spotify aims to create an avenue where consumers can discover new audio and play it. This includes popular podcasts such as the ones created by Gimlet Media and also producing its own original content using Anchor. Thus Spotify would offer a mix of radio and Netflix-like original content. Now if Spotify can successfully achieve this, the company would become the de facto platform for consumers to discover and produce original audio, thereby attracting and retaining both listeners and creators. Gimlet Media is a podcast studio with $28.5 million funding, based in New York that is known for its original podcasts such as “Homecoming,” which has now been adapted from a podcast to video for Amazon Prime and for “Reply All” about Internet culture.. Anchor is a podcasting startup that helps anyone record their audio on the go and distribute that audio right from an app on their smartphone or tablet. Anchor raised $15 million in funding, of which $10 million came from GV, Alphabet’s investment branch. After a redesign of their platform last year, Anchor has enabled podcasters to distribute their recordings straight to Spotify, along with other streaming services. Apparently, Anchor has enabled the production of 15 billion hours of content listening on Spotify just in the fourth quarter of 2018 alone. Spotify’s two large acquisitions - original podcasts and assisting podcasters in creating and launching their podcasts, signal the company’s strong interest in the podcasting world. The ‘Netflix’ model of creating and locking down original content would help in the company’s bottom line instead of having to negotiate royalties and deals with labels. Gimlet Media brings Spotify talent, technology and proven popular podcast models for original content, while Anchor provides hosting and monetization methods. Spotify’s CEO Daniel Elk shared his company’s goals in a press release. Spotify is clear on its ambitions to be the world’s largest and most popular audio streaming company for both music and non-music audiences. The company intends to spend up to $500 million for similar acquisitions in 2019, as shared in its Q4 shareholder letter. Podcasting has been attracting strong investments in recent years. Betaworks Ventures, an early venture capital firm, invested in both Gimlet Media in 2014 and Anchor in 2015. Betaworks Ventures partner Matt Hartman explained in a blog post why he considered podcasting a lucrative investment. In 2015, Scripps media company bought Midroll Media, the digital media company in Los Angeles known for its original podcasting and ad network. Midroll also acquired Stitcher, the popular audio hosting platform. Last year in the fall, iHeartMedia purchased Stuff Media, a podcast content company. Apple reportedly was in talks to purchase iHeartMedia in December. These acquisitions reveal that the demand for podcasting is only growing. With Spotify’s two acquisitions, the company now has a complete podcasting solution from discovery to creation, distribution and monetization. This bold move demonstrates the company’s ambition to become the world’s most popular audio platform from music to on-demand audio for listeners, podcasters and advertisers. In its Q4 shareholder letter, Spotify revealed that it was ready to spend up to $500 million for similar podcasting M&A activity in 2019. Growing podcast listening on Spotify is an important strategy for driving top of funnel growth, increased user engagement, lower churn, faster revenue growth, and higher margins. Spotify, without a doubt, has some serious podcasting ambitions.